Makin’ Moves return to the upstairs part of Lighthouse (formally the Bedroom Bar) in Shoreditch on Saturday 28th October for our haunted Halloween party! For those who know about our previous Halloween parties, know that we don’t take any prisoners!This year residents Matt and Jamesey will be joined by Martin Lodgefrom Mi-Soul Radio and all the way from NYC making his first appearance in London for many years DJ Romain! Romain has recently released a new album ‘That’s How We Do It’ on Quantize Records and it’s been going down a storm and we can’t wait to welcome Romain to Makin Moves for his first gig with us! 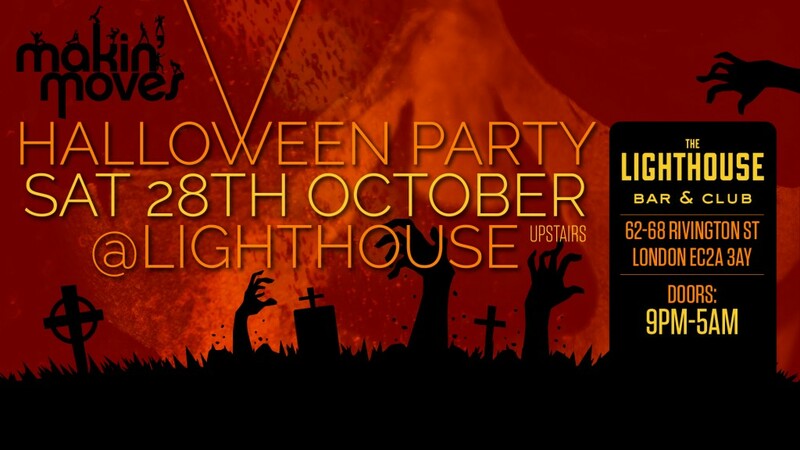 Halloween outfits are welcome and there will be a prize for the best-dressed person! 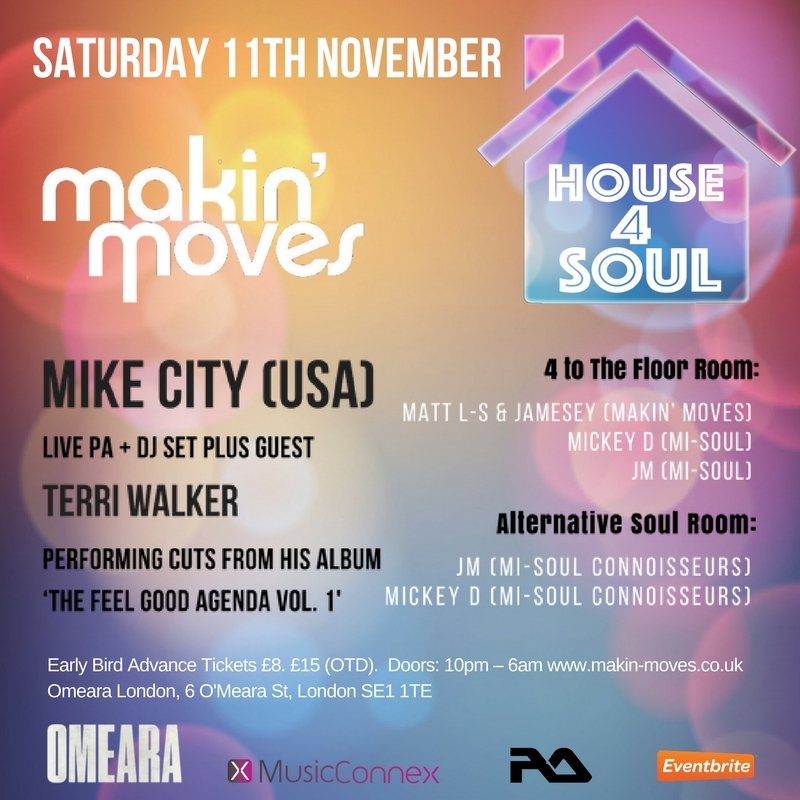 Entry is FREE before 1130pm if you e-mail your name/names to info@makin-moves.co.uk before 27th October otherwise there will be a charge of £5. Once you gain entry to the top floor you can move between floors where there will be RnB and hip-hop on the ground floor if that’s more your flavour. Makin’ Moves welcome one of Detroits most infamous dj/producers to the label, Alton Miller for his first release on the label. The track features South Africa’s Bantu Soul who has worked with likes of Ajtazz from the UK and Souldynamic from Italy. A deep track for the heads!! Following our fantastic all day terrace party at Cargo in Shoreditch last month we head back there on Sunday 24th September for our end of summer event. For this event joining residents Matt L-S and Jamesey inside the club for the latest deep and soulful house will be Baltimore’s N’Dinga Gaba who runs Global Diplomacy Records. N’Dinga has produced and worked with some of the best names around. He’s also a great dj and we look forward to welcoming him back to Makin’ Moves for this special event! Outside on the terrace we are doing a memorial to the beautiful Claire Tomlinson who the music scene lost way too soon last September. Claire was a regular to Makin’ Moves and we have pulled out all the stops to put together a group of DJs that she really loved and were also her good friends to play some music and come together in memory of her life. DJ’s performing on the day playing soul, jazz, funk include Patrick Steele, Steve Harrington, L’il Stevie and Mi-Soul’s Martin Lodge.